A couple of weeks ago I found myself taking four New Yorkers out for dinner. It was an intimidating task. Not only did they come from a city with the widest choice of cuisine I’ve ever been faced with; they were also used to the slickest, fastest, most efficient service along with it. I was terrified that Amsterdam was going to fall horribly short of their expectations. 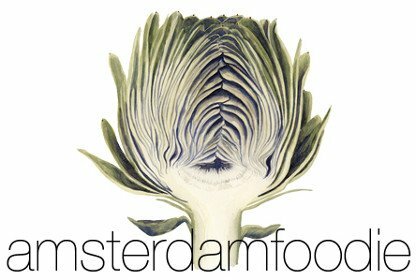 I flicked through my Little Black Book of Restaurants (compiled in pencilled scrawl from personal recommendations and professional reviews) in search of something that was quintessentially Amsterdam and yet international in flavour. I took a bit of a gamble. Amsterdam is famed for Indonesian food, but I’ve found only a couple of restaurants I’d go back to. Lots of people had mentioned Tempo Doeloe, and it happened to be near a cocktail bar I wanted to take the New Yorkers to for an aperitif, so I booked us a late table. I crossed my fingers and prayed the service wouldn’t be a total embarrassment. Since I’m not really a religious type, it should possibly have come as no surprise that we had to ring on the doorbell to be allowed in, wait half an hour for our table in a crowded bar area, and hold our coats while waiting for a drink that never came. So far: New York 1, Amsterdam 0. Once our table became available, however, things started to look up considerably. The waiting staff did useful things like take drinks orders and bring menus and communicate with us. Phew. Then came the part I hadn’t anticipated at all: the New Yorkers were fussy. 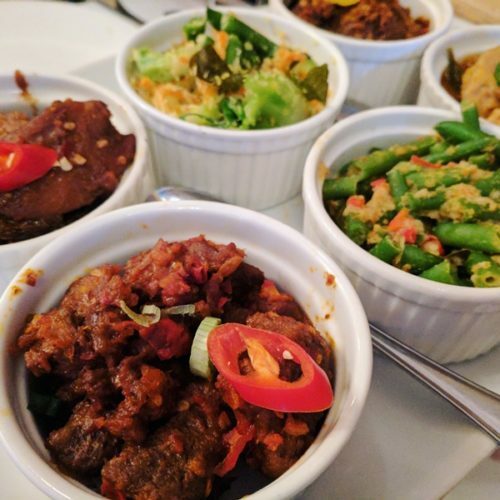 One of them didn’t do seafood, one couldn’t eat pork, two didn’t like spicy food… I realised I hadn’t even enquired after their dietary requirements before making the reservation, and here I was trying to navigate the obstacle course of eating habits in an Indonesian menu. Plus, while it may be possible to order a skinny decaf latte and a gluten-free bagel with cream cheese made only from the milk of black sheep under the age of two in America, this kind of fussiness was never going to fly in Amsterdam. Suddenly the tables were turned: was I, in fact, going to be more embarrassed by the Americans? As it was, Tempo Doeloe did pretty well. Those with special requirements ordered mostly chicken dishes, and the waitress was good about checking how mild (or otherwise) the dishes were desired. Myself and fellow spice fiend ordered a Rijsttafel that comprised about 20 dishes, which I’m not even going to attempt to list. Suffice to say that they ranged from mild, coconut-y dishes to blow-your-head-off chilli fests. What really stood out for me was that the sauces all tasted distinctly different. They had been well reduced and weren’t full of thickening agents – even the broths that were watery in consistency were full of flavour. The fact that the restaurant was still busy at midnight was testament to its authenticity. So what did the New Yorkers think about it all? I’d warned them beforehand about the potential for shoddy service, so I think they saw the whole waiting-for-a-table-without-a-drink thing as part of the European experience, rather than the absolute travesty it really is. Plus, they enjoyed the food – with or without added spice.